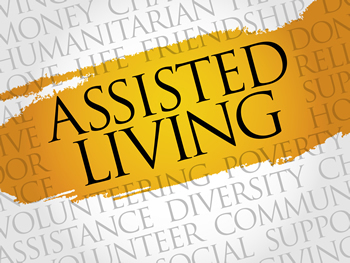 Assisted Living facilities are very unique environments where occupants live in close proximity, visitors and workers come and go and most residents lead a rather sedentary lifestyle. All of these factors put assisted living facilities at high-risk for a bed bug infestation. Because assisted living facilities are at a very high risk for infestation of bed bugs, prevention is very important. Bed bugs can easily go undetected for some time turning a bed bug introduction into a full-fledge infestation and treatment can be difficult and labor intensive on not only the pest professional but the staff as well, since residents may have a difficult time with mobility. Bed Bugs may go unnoticed for long periods if elderly residents have poor vision and may not be able to see bed bugs or understand what they are looking at. Residents may not show bites. As many as 30% of the human population show no response to bed bug bites and the elderly constitute a major portion of this unaffected population. Bites may also be passed off as something else like a rash or bed sores. Finally, a bed bug infestation will likely infuriate families who are paying premiums for their loved ones to be taken care of. And a bed bug infestation could harm the facility’s reputation and affect their occupancy rate. • Education of all levels of facility staff in the ‘basics of bed bugs’ so that they can detect bed bugs early. While a delicate situation, the staff should have a protocol to examine incoming resident’s belongings to try to detect bed bugs as early as possible. • Assign a central person on staff as bed bug expert, preferably for each shift, where all bed bug (and other pest) concerns are reported. Issues are to be addressed in a timely and professional manner, in part, to allay the fears of the residents. Residents who are confident that their problems are being resolved quickly and with dignity are prone to report future incidents. • Engage a Professional Pest Management Firm to deal with bed bug occurrences. Their protocols must account for control measures that can be used among the resident population within the facility, assuming that relocation is unlikely and compliance may be less then optimal. Strong consideration should be given to pro-active scheduled visual or dog inspections of areas at highest risk. • Bed bug monitoring of areas of the facility that are not open to the residents, such as staff lockers, office areas, loading docks, storage areas, nursing stations and the laundry facility, should be employed with several pitfall-style traps available. Once installed, these monitoring traps need to be inspected on a scheduled basis and the results of each station recorded to demonstrate a viable detection program is in place. • The use of active liners like ActiveGuard® Mattress Liners should be encouraged in situations wherever they can be installed. The bedding found in assisted-living facilities is often suitable for Liner installation (inverted on the box spring). Installation in rehabilitation and nursing home facilities may require more forethought due to the higher use of hospital-like shaped bedding. The PMP under contract should be able to install and service the Liners when replacement is required; every two years. Assisted-living facilities pose a special set of circumstances in bed bug prevention given the nature of a relatively immobile population that does not always recognize the existence or severity of the problem. However, cost-effective prevention can be achieved through education, awareness and implementation of a few proven monitoring and preventive devices. This article was adapted from Jim Ballard, PhD, Ballard Pest Management Consulting, LLC, excerpt in ‘Bed Bugs & Prevention… Is It Possible?’ originally appearing in PCT Magazine’s December 2016 Issue. Click here to read the story in its entirety.